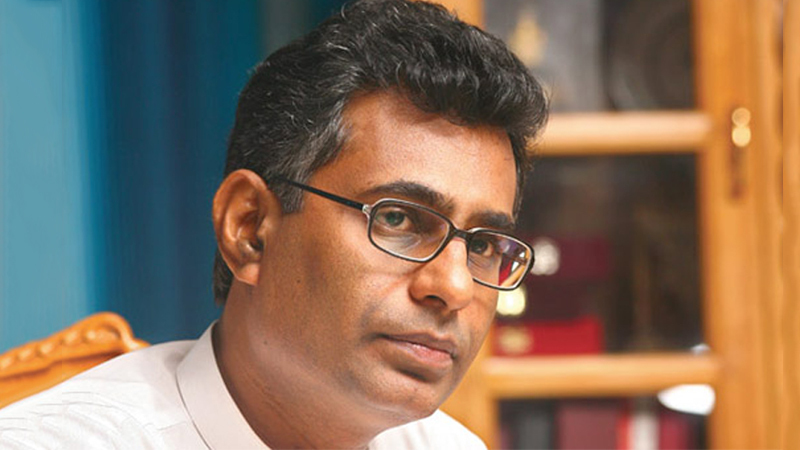 The present government had saved Rs.22,000 million after servicing all its debts last year through proper financial management, Megapolis and Western Development Minister Patali Champika Ranawaka said. The Minister said the country’s economy was burdened by the loans taken by the previous Rajapaksa regime and the government through proper financial management was taking the country out of this ‘debt trap’. He said that following the defeat of the Rajapaksa regime, the people wanted an economic and a political revolution and the two main parties had formed a Unity Government to make the changes people wanted. The Minister was addressing an election meeting at Beruwala on Sunday in support of UNP candidates contesting the forthcoming Local Council elections. The minister sepeaking about the reckless acts committed by the past regime alleged that the three Rajapaksa brothers controlled almost 97 percent of the countrys economy by holding on to the important Ministries and creating 100 odd sub Ministries. “Unlike in the past, all powers of governance have been vested in the entire Cabinet of Ministers now. This was a salutary change made against Feudalism family Bandyism and power hungry politics. This change for the better had been welcomed by all except a minority still running behind family bandyism,” Minister Ranawaka added. “Although Mahinda Rajapaksa had claimed that Hambantota which had been a hive of development activity during his time had become a fallow land today, he wished to remind him that all infrastructure facilities which remained dormant during the previous regime were now live with activity under the present government. He also said the Rajapaksa regime while investing Rs. 1.5 million per head for the population in Hambantota had invested only Rs.45,000 per head for the population in Kandy. “Can a person who differentiated among people according to their area of residence be really referred to as ‘Appachchie” by the people,”the minister asked. He also said the ‘Pohottuwa’ party will not be in existence today if there was no Constitutional impediment for the President to appoint any number of Ministers to his Cabinet. “But according to the Constitutional provisions today the President has the powers to appoint only a 30 member Cabinet of Ministers. It can go upto 45 members if there is a two party coalition governing the country. The Constitutional reforms brought about by the Yahapalana Government had pruned the powers of the President to appoint any number of Ministers arbitrarily as he wished,”Minister Ranawaka added. Aren’t the people feeling happy and secure about this change brought about by this government asked Minister Ranawaka. Minister Ranawaka said a majority of Parliamentarians in the Pohottuwa party would have been in the Government if the proverbial saloon door was kept open as done during the Rajapaksa regime. The Minister said earlier there was no restriction on the member of Ministers appointed by the Government. Earlier the President could appoint a cabinet of 100 to 150 Ministers of he so wished. He could even appoint all 225 members of Parliament as Ministers or keep all Ministers to himself if he so desired. The Constitutional reforms brought about by the Yahapalana Government had restricted the number of Ministries to 30 or 45 according to the circumstances and was not this a healthy change brought about to the body politic by this government he asked. Minister Ranawaka said if this limitation was not imposed people in the Homagama area making a big hue and cry today would also have meekly joined the present government by obtaining a ministerial post.